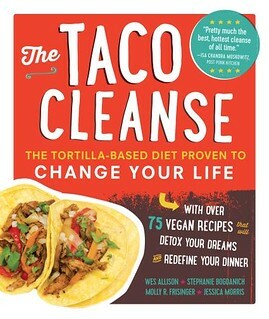 During month of the taco cleanse I got to add quite a few tacos to my list so I thought it was time for a guide. I’m sure there are many, many more so please let me know about any important tacos in Austin I’m missing, some are intentional and some are not! Most of the places could fit in multiple categories but I stuck them where I think their tacos shine the most. Bouldin Creek– This amazing vegetarian coffee shop in South Austin has a very unique tofu scramble that they use in their tacos. They also have homemade chorizo and a handful of other toppings. I like the tofu ren with tofu scramble sautéed with jalapenos, garlic and onion. They also have dayia cheese, and taco specials at night. They are open from 7am until midnight and the breakfast menu is available all day. Mr. Natural– Delicious homemade corn tortillas, tofu, homemade chorizo, vegan cheese, beans, potatoes, and avocado all available. The only thing is to remember to say no lettuce, tomato, or sprouts because, in my opinion, those items should never be on a breakfast taco. 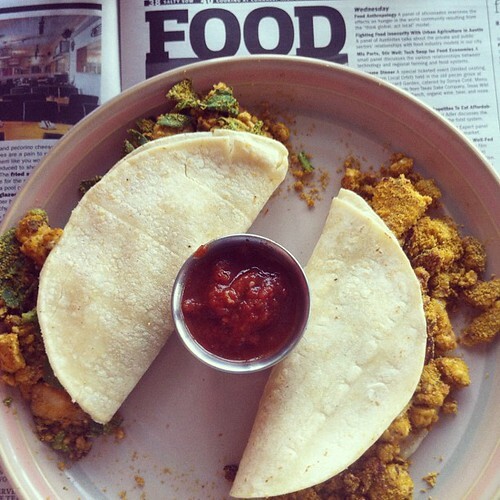 If you are dining in I love making tacos out of the vegan migas. And the Mexican Pancake which isn’t a pancake or a taco but is delicious. 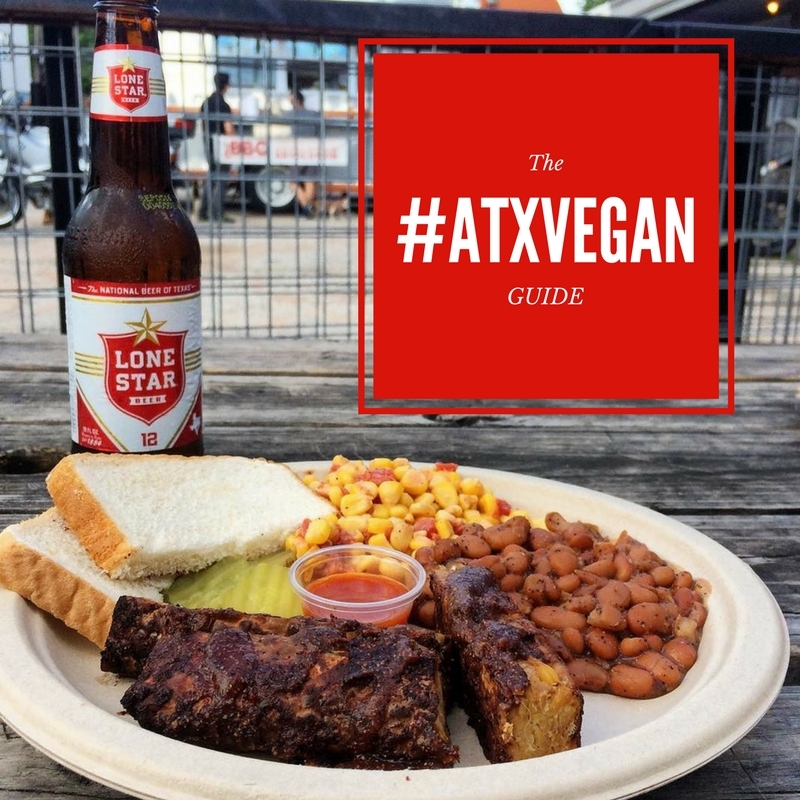 The Vegan Nom– More breakfast taco options than anywhere else at this all vegan taco stand (about to open a second location). Make whatever combo your heart desires or go for the set options like tempeh bacon and tofu scramble. I love their dinner tacos too like the del ray and if they are running the brisket special get there early because that deliciousness is going to sell out. Whole Foods Lamar– I love the refried beans, fried potatoes, and the vegan chorizo. Their pico is always perfect but they have a range of salsas. The also have kale, tofu scramble, a vegetable medley, black beans, daiya cheese and lots of other toppings. The word is that only Lamar has good tacos. Veracruz All Natural– Amazing homemade tortillas, fabulous salsa with chunks of avocado along with hot sauces all make Veracruz a fantastic choice. I get potato and bean. 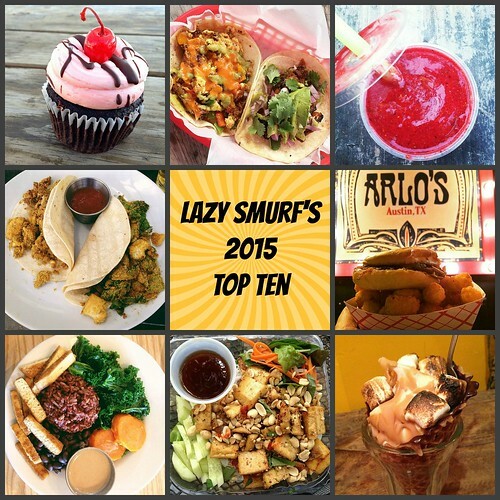 They are also known for their interesting smoothies and have tacos all day. Cherrywood Coffeehouse– My favorite Austin style breakfast tacos. It’s the only place I know where a vegan can get chunks of deep fried tofu, shoestring potatoes, and guacamole with an almond milk latte and call it breakfast, delicious fantastic breakfast. They have tacos all day too. Maria’s TacoXpress – I love this place for hippie church on Sunday. They have refried beans and potatoes that are vegan and if you add all the salsas, cilantro, guacamole, and onions it will be pretty awesome. Wheatsville Co-op– organic white flour, wheat flour, or corn. Ingredient choices are: potatoes, vegan sausage, cheese, rice, and black beans plus either Casera, Pico de Gallo, or the featured salsa. I am hoping that they change tortillas and add a tofu scramble because what they’ve got is pretty lackluster but they do have great coffee so it evens out. Pueblo Viejo– This trailer opens for breakfast at 7:30 and stays open until 3 am sometimes on the weekend. The refried beans are vegan and the salsa is spicy. They also have a veggie taco and really good guacamole. Tamale House East– Potatoes, beans, and guacamole can all be yours at this restaurant. Enjoy mimosas on their patio and homemade chalupas and gorditas too. El Flaco Cafe– This hopping little cafe on South Congress has vegetarian chorizo and a few vegetable options but they seem really weirded out by the whole vegan thing so make sure you say no eggs no cheese a few times, they do offer egg beaters and I think that’s where the confusion comes but it’s a pretty good greasy taco if that’s what you desire. Mellizoz Tacos– This trailer just south of Elizabeth Street on South First has fantastic breakfast tacos. They do have portabella taco and can add spinach which is always a nice option. If you have friends that want to go to Torchy’s take them here instead and they’ll be so impressed. Taco Deli– Since the potatoes at Taco Deli aren’t vegan I can’t really consider taco deli a good place for breakfast but I adore them for lunch. The Freakin’ Vegan which is just beans and avocado is wonderful because the have perfect beans, great tortillas, and a doña sauce that’ll kill you. Sadly for us all locations close at three and they are always packed. Cool Beans– All vegan Mexican food truck with tacos like the Native which is their version of an Al Pastor made out of local garbanzo tempeh and served with grilled pineapple, cilantro, and onion. Homemade tortillas made while you wait and everything is organic. My full review here. Revolution Vegan Kitchen – out on the the southwest side this trailer has a jackfruit carnitas and al pastor. Vivo– A great place to enjoy some puffy tacos for Happy Hour. Guero’s Taco Bar– This restaurant on south Congress radiates south Austin charm and they do have a large vegan section on their menu that includes vegan al pastor tacos and food for lover’s queso. Sadly, the execution is off and I mostly go here if I am in the area late or want margaritas. I do like the chalupas and the taco salad better than the tacos but they do offer the full range of toppings so I thought I should mention them! El Chile Cafe y Cantina – Vegetable and Guacamole packed Puffy Tacos and Mexican Margaritas make a perfect combo to relax for dinner on Manor. I love the chilango margarita too. Papalote– This tiny authentic Mexican restaurant on South Lamar has a ton of vegetable options (cactus, zucchini, poblanos peppers, potato, onion, mushrooms, green beans, jalapeños, avocado tomato, tomatillos and chips) for their breakfast tacos but I really love the tlacoyos which is why I think of it as a midday place. The homemade tortillas and hot sauces are so tasty. Takoba– This trendy restaurant on east 7th is nice to hit up with the nonvegans in your life because they have good cocktails. The vegetarian taco plate has zucchini, caramelized sweet potatoes, roasted corn, green chiles, queso fresco, chipotle mayonnaise, guacamole so see if you can leave off the mayo and add beans or nopales. Everything is marked with a V which is nice. Curra’s – Really the reason to go to Curra’s is the avocado margaritas but the tacos are good enough, I do like the tamales better. The rice isn’t vegan but they will let you double bean on the taco plate which will be enough to fill up the vegan truck driver in your life, especially if you stuff yourself on chips and salsa too. Arlo’s – This trailer on the patio next to Cheer Up Charlie’s is famous for their vegan bacon cheeseburger but they also have great street tacos & they are open late. 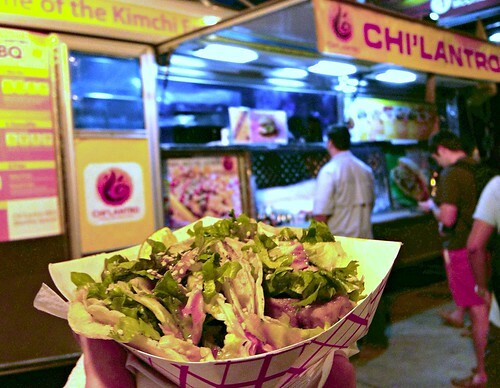 Chi’lantro – Even though you can get Chi’lantro tacos for lunch and dinner I always think of them as a post-bar place. They have multiple trucks downtown on the weekend and the service is fast and the tacos are cheap. I love the fried tofu and the sweet sauce. It always hits the spot. Taco Cabana – Seriously? Seriously, the black beans are vegan and they make them there and the corn tortillas too. They are open 24 hours and they even have margaritas. You can’t say that about Taco Bell. Kerbey Lane– Their standard vegan black bean tacos are not very exciting but they are gigantic so if it’s 3am and you need to eat a lot of food and drink coffee it may be your best option since they are 24 hours. 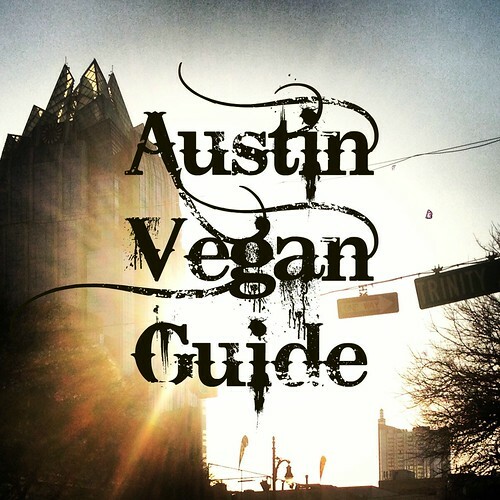 This entry was posted in Austin, Austin Guides and tagged #atxvegan, Austin, Austin Vegan Taco Guide, Guide, Taco, vegan on October 17, 2013 by lazysmurf. Excellent list. And I agree about Wheatsville and Kerbey, not great tacos but good enough for convience’s sake. Wow! We have to go back just to do the taco tour! This just made me mad hungry. I’m glad that the WF breakfast taco thing worked out for you in the end, as I know they’re very close to your heart. 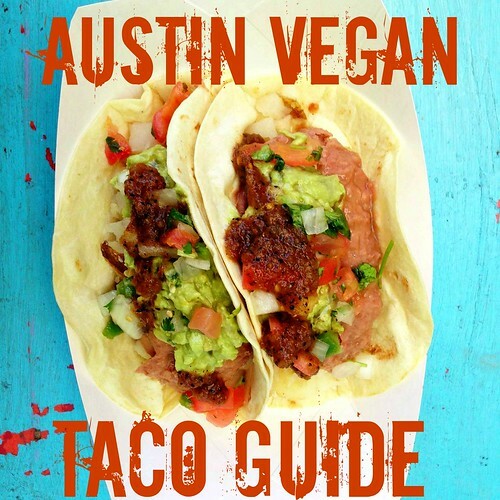 What a lovely list of tacos, I will bookmark this when I visit Austin! I found some vegan tacos in Buenos Aires at the market, and it was pretty tasty with the Rawmesan! This is probably the first tacos I have ever seen so far. Wow, this is AMAZING! 🙂 Thanks for a great post! I’ll have to check some of these out sometime. Let’s say I came to visit and needed to eat every taco listed during that stay. 1) You’d join me in this endeavor, yes? 2) How many days would be needed to fit all of this in? 2? 3? I think it would take a few days to eat them all, maybe 4? That’s eating breakfast tacos from 3 different places each day too which is a lot! And of course I would join you! — back from the street, behind the Starbucks and Chick Fil-A. They’re mostly a Chipotle knock-off, in that most people go there for burritos, but for the same price you can also get three tacos, and they make the tortillas for you right when you start your order. 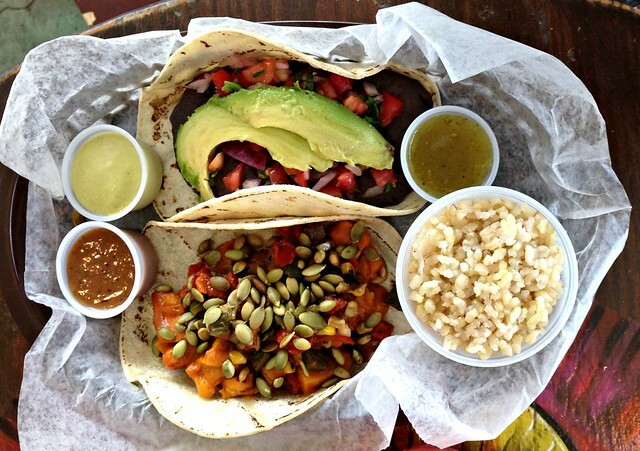 Two of the tortillas are vegan, and though they don’t have any meat substitutes, they have more options for vegetables to put in your tacos than most places. And their hot sauce is delicious. You left off Tyson’s Tacos (formerly Jalapeno Joes) on Airport Blvd. They have make-your-own breakfast tacos that are DELICIOUS. I get black bean, potato, pico and guacamole. They are huge and oh-so-tasy! I’ve never heard of that one!!! I can’t wait to try it! Every one sounds so good! 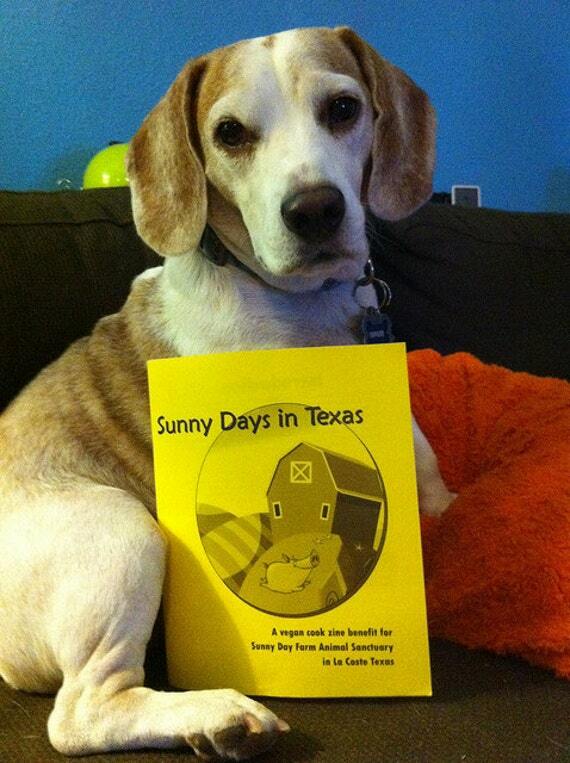 Penlight of a reason to visit Austin! Is that picture from Taco Deli under “Lunch and Dinner Tacos”? What is the taco with the seeds on it?!! Also: I also love Tyson’s, they have a few vegan offerings that are AMAZING… but I don’t think the beans are vegan? At least they don’t have the vegetarian tag (V) next to them on the menu. But the brussel sprout/mushroom sans cheese? YUM. And the avocado/fruit salad dish is incredible.